Looking to adopt a pet, but don't want to be scammed? 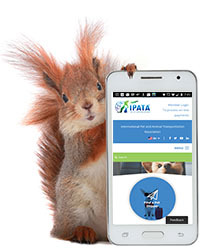 IPATA is here for you. Many potential pet owners are scammed through craigslist pets, email scams, buying dogs online, scam websites, and pet travel scammers. Here is a list of known pet scammer emails and websites that have been reported to IPATA over the last year. Also see our lists from previous years. **In no way is this a complete list of pet scammers, please see our Pet Scams page to identify other warning signs that can help you avoid an online scam when you adopt a pet. so they can be added to our current Scams List.